We are dealing in all types of Real Estate properties such as multistorey apartments, villas, studio apartments, commercial shops, industrial sheds, builder floor apartments, residential plots, service apartments, commercial office spaces, commercial showrooms, industrial lands, agricultural lands, residential houses, penthouses, commercial lands, industrial buildings and farm houses for sale, buy, resale and rent/lease. 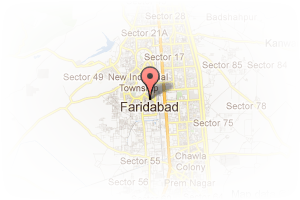 Address: Happy Estates, Greenfield Colony, Faridabad, Haryana, India. 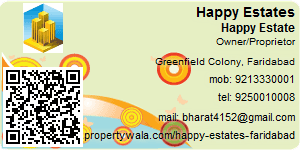 This Broker Profile page for "Happy Estates" has been created by PropertyWala.com. "Happy Estates" is not endorsed by or affiliated with PropertyWala.com. For questions regarding Broker Profiles on PropertyWala.com please contact us.